Dalya "Dr. Ruby" Rubanenko, D.C.
Dr. Dalya Rubanenko, known as Dr. Ruby, is dedicated to helping her patients achieve better health by teaching and practicing the true principles of chiropractic wellness care. Through the combination of highly honed skills and knowledge that spans the entire healthcare spectrum, she fosters a level of health in her patients that provide them the freedom to do anything they choose to do in life. A fully licensed and accredited chiropractor, Dr. Rubanenko has served the San Diego community for more than 10 years. As a former competitive gymnast and still an avid athlete, Dr. Ruby incorporated chiropractic rehabilitation as part of her healthcare to address injury and for maintenance reasons, the experience of which led her to the chiropractic field. Using an “athletic model” of care in combination with her extensive sports background, Dr. Ruby emphasizes quick relief, using gentle and palliative treatments that can include massage, ultrasound, electrical stimulation and spinal traction. Once symptoms decrease, Dr. Ruby provides core strength training, exercise and rehabilitation to return patients to normal function. 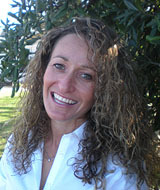 She is trained in McKenzie therapy, MedX Strengthening and uses NIMMO trigger point muscle therapy for most injuries. Other common conditions that Dr. Ruby treats are: neck and back strains, disc bulges/herniations, shoulder impingement syndrome, sciatica, plantar fasciitis, pain from degenerative disc disease and osteoarthritis. Another significant portion of Dr. Ruby's practice is dedicated to treating expectant mothers and children. She has received countless referrals from the leading Ob/Gyn medical doctors in San Diego because they trust her expertise and safe treatments. The conditions she most commonly treats are sciatica, low back and upper back pain, swelling (edema) in the arms and legs causing discomfort such as carpal tunnel syndrome, and pain in the region of the pubic symphysis and coccyx. Using treatment tables specially designed to maximize comfort for pregnant patients, Dr. Ruby takes patients through specific and safe strengthening exercises. Following childbirth, Dr. Ruby helps her patients to return to their pre-pregnancy state through exercise and strength training that allows them to retrieve their core strength, especially in the low back and abdominal region. Dr. Ruby is considered very kid-friendly, and always welcomes children her clinic, which, with its relaxed décor, is warm and welcoming for all patients. Dr. Dalya Rubanenko graduated from the University of Michigan, Ann Arbor in 1993 (and is a true Wolverine fan). She graduated from Los Angeles College of Chiropractic in 1999. While receiving her chiropractic degree, she was elected the national chairperson for the Student American Chiropractic Association representing all students across the United States. Dr. Ruby has traveled to Washington D.C. more than eight times to lobby California elected officials for patient rights and healthcare reform. At graduation, she was awarded the prestigious Presidential Award, given the top students in the class. Dr. Ruby is a member of both the American Chiropractic Association and the California Chiropractic Association. Dr. Ruby began her professional career working for three years in an out-patient surgery physical therapy and rehabilitation center alongside leading spine and joint orthopedic surgeons and neurosurgeons. As a result of that transformative experience, Dr. Ruby has extensive knowledge of the latest physiotherapeutic, rehabilitation and strengthening programs for patients who have had: surgeries of the spine (neck and back) , all extremities (knees, shoulders, elbows, feet and hands), Laminectomy, Discectomy, Fusion, ACL reconstruction, Meniscectomy, Rotator Cuff Tear Repair, and Carpal Tunnel Syndrome. Given her experience, Dr. Ruby is versed in handling the med-legal of patients with workers compensation and personal injuries. Dr. Ruby was a Qualified Medical Examiner for approximately five years. She also has been the primary treating physician for American Medical Response Employees in San Diego. She is trained in EPIC Functional Capacity Evaluations. She has volunteered her time to work with athletes and participants in AVP tournaments, the LA marathon, L.A. Police Karate tournaments, AIDS ride, Avon-walk-a-thon for breast cancer and many other events. There are so many wonderful things to convey about her... I will start with her professionalism and personable qualities combined.... Most of us do not like to go to the "doctor" but, this is just a wonderful experience...! I have no reservations about recommending Dr. Ruby to anyone, with the utmost of confidence.... Her office is always full of grateful patients and it's kind of like visiting home when you are there...Try it! You will be eternally grateful as I am. I am a new patient with Dr. Ruby and to the world of spine manipulation as a whole. My first visit was fantastic. I couldn't believe how good I felt leaving the office and in the days to follow. I've been suffering from morning low back pain and my visit combined with some strengthening exercises Dr Ruby showed me are making a big improvement. Dr Ruby is a good match for me as I am an endurance athlete who is out of shape and needs to get into shape for my coming race season. She see(s) many triathletes, pro ball players, marathon runners and the like. I would recommend Dr. Ruby to anyone and everyone. I was referred to Dr. Dalya several years ago by a close friend. Prior to seeing Dr. Dalya, I had suffered chronic lower back pain (sometimes quite severe) on and off for 20 years. I had been treated by other chiropractors and practitioners generally resulting in limited and short term relief from symptoms. Dr. Dalya is a very dedicated, competent, caring and fun person. I highly recommend her. After seeing so many Physical Therapists, Massage Therapists and Acupuncturists for a work injury, I was referred to Dr. Rubanenko. She helped me recover from shoulder and wrist surgery. She challenged me to push my own limits and I thank her for that. I have recovered and have been medication free! My daughters would accompany me to my sessions and Dr. Ruby asked to do a scoliosis screening on them. She found severe scoliosis in my 14 yr old daughter that had NEVER been diagnosed or addressed by ALL of our medical doctors. She immediately connected me with the pediatric orthopedic surgeon who specializes in severe scoliosis. I have no hesitation that my family and I are receiving the best Chiropractic care and I am comfortable referring everyone I know. There is so much to say about Dr. Ruby and what she has done for me and my family. I had been to other Chiropractors and Physical Therapists in the past and I have never been treated as well as I am treated by Dr. Ruby. I was originally referred to Dr. Ruby by a co-worker. I began treatment with her for neck stiffness. Through conversations with her I disclosed that I was previously diagnosed with a herniated disc and I had done physical therapy but I still had constant back pain. She offered to work with me and I accepted. Through physical therapy with her I have been able to strengthen my back and I have been successfully living with zero back pain. Because of the positive impact Dr. Ruby has had on my life, my husband, 13 yr. old and 5 yr. old daughter, and me are patients for life. I definitely recommend Dr. Ruby to everyone. She's in her profession because she honestly cares!! I have been seeking chiropractic care from Dr Rubanenko and am extremely pleased with her professionalism and dedication to me. As a result of the strengthening program coupled with the modalities, adjustments and massages, I am able to see the benefits of the work we are doing together to improve my overall health. In 2004 after injuring my lower back while renovating my house, I was referred to Dr. Ruby by a close friend. He had recently injured his lower back while golfing and had said Dr. Dalia was the person to see. Wow... was he right! Dr. Ruby's knowledge, proper diagnosis and treatment had me back in action quickly. But it gets better. She also recommended specific training and exercises to help me strengthen the trouble spots to keep it from happening again. She is a very special doctor who works very hard and genuinely cares about her patients. I have referred others, all with similar successful results. Highest marks. The great thing about Dr. Rubanenko is that she's more than just a standard chiropractor. She also does physical therapy. Not only can she figure out what ails you, she can also give you exercises and other ways to help yourself heal. I came to Dr. Rubanenko with a pain and spasm in my back that wouldn't quit (for three years) and ended up doing a combination of physical therapy and chiropractic with her two to three days a week for several months until I was able to go back to my regular workout routine. I am now doing triathlons on a regular basis. She is a very caring doctor, and she relates exceptionally well to people. Through my time at her office, I saw her working with many pregnant women in all stages of pregnancy, helping to alleviate some of their pain and make them more comfortable. I have already referred several people to Dr. Rubanenko, including my own parents. Once you meet her and experience her treatment, you'll understand why. Take a RIGHT off the exit onto Mira Mesa Blvd. Sorrento Valley Road becomes Mira Mesa Blvd. Exit on Cesar Chavez Blvd. Turn left at the light. Turn right at the second stoplight which is National Blvd. The office is the second building on the left. Parking is available behind the office off the alley. Exit on Cesar Chavez Blvd. Go straight through the stop sign. The second stop sign is National Blvd. Turn left and the office is just before the stop light on the right.